In my opinion (or, IMO, as the kids say) this is the best angle from which to view this 1952 Studebaker Commander Starlite Coupe. 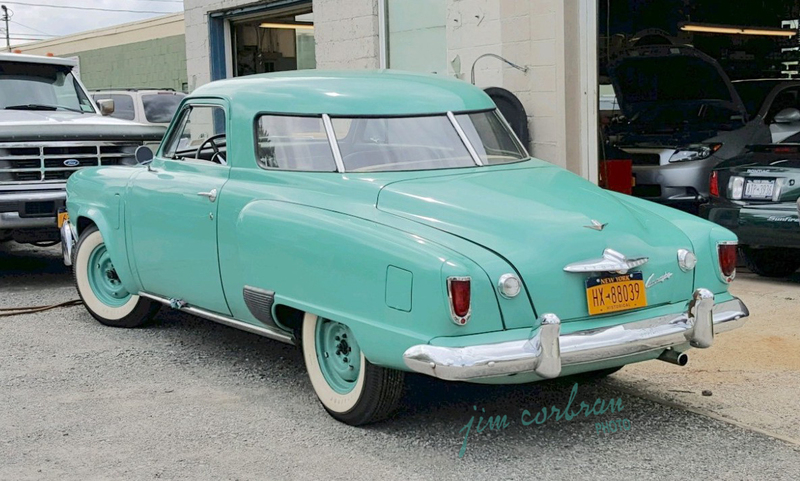 That beautiful wrap-around rear window, which had some pundits back in the day wondering if the car was coming or going, was touted by Studebaker in their brochure thusly: Visibility is unlimited in this five-passenger “glass-all-around” sports coupe. And, as you can see from the illustration below, those back seat passengers could actually see where they were going instead of being secluded behind a wide C-pillar. Saw this one a couple of weeks ago in Kenmore. Love the color!